The final day of Gutor for the Year of the Fire Monkey began at 4 in the morning when the stars were still out and the air had a chill in it. People were huddled in down jackets or wrapped up to their eyes in a thick woolen shawl. 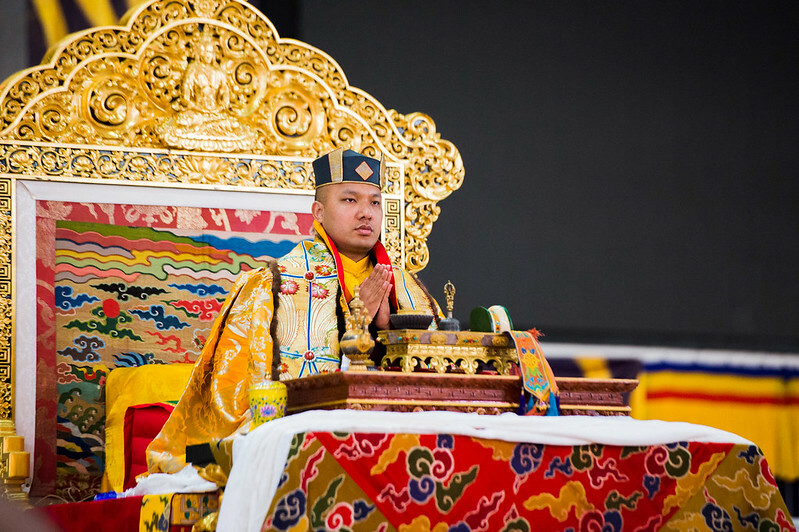 Jalings from behind the stage announced the Karmapa’s arrival, and after three bows, he took his seat on the black and gold throne to preside over the puja. One could often hear his voice blending in with the chant master’s. 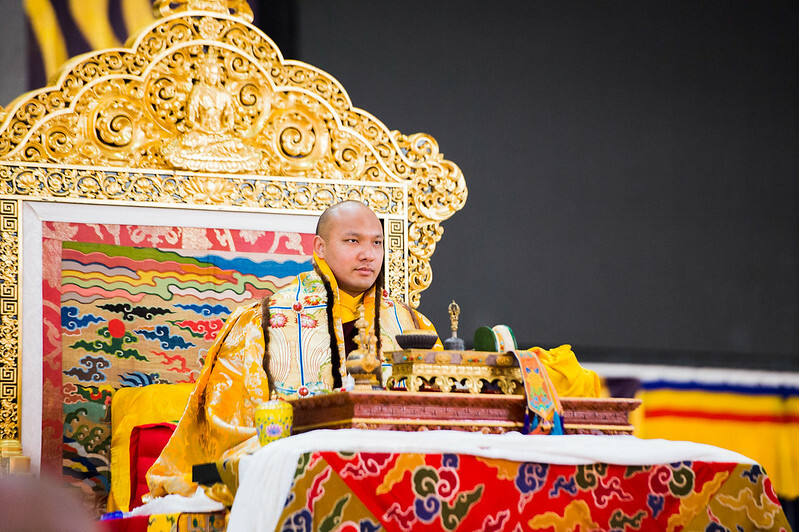 The first text was the short Mahakala practice known as the Cinnabar Mahakala since the first parts to be chanted were marked off in a brilliant red from the long text Burning Up Hostility by the Sixth Karmapa, Thongwa Dönden. At the end of this came a short section known as Receiving the Siddhi. At this time the Nyingzuk, the huge main torma sculpture that represents Mahakala, was carried by several people to give its blessing, first to the Dorje Lopon who has guided the pujas during the entire time. Then it was offered to the Karmapa and Gyaltsap Rinpoche, before being placed back on the shrine. The early morning’s program finished with an extensive smoke offering, known as Massive Clouds of Amrita, during which vast offerings imagined as filling the entire sky were made to every imaginable yidam deity, lamas, dakinis, Dharma protectors, and local deities of all kinds—a grand finale of offering and thanks to everyone.